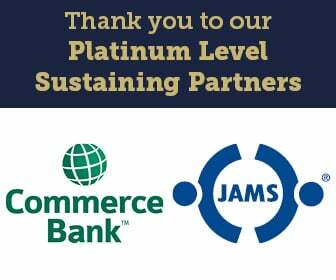 Our Sustaining Partner Alliance program is a way for firms, organizations and companies who would normally support BAMSL throughout the year with many of its events and activities to do so on a larger and more visible scale. By making an annual sponsorship, the Sustaining Partners support a wide range of annual events for BAMSL members and receive regular, ongoing recognition for their investment in the association and support of our programs. Because we now have such generous Sustaining Partners, many programs can continue to be offered and others do not have to be scaled back. We thank our Sustaining Partners for their support in 2018-2019 and ask you to patronize them when you can. Alaris is proud to be a local and woman-owned litigation support company providing services in court reporting, alternative dispute resolution and trial services. We work with law firms and corporations to meet all of their litigation needs nationally and globally. Anything you need, we’ve got you covered. For more information visit www.alaris.us. In a time of economic uncertainty, now more than ever, structured settlement annuities make sense. Atlas Settlement Group creates structured settlements that provide financial security for injured parties while also managing cases in the most efficient and cost effective manner. These structured annuities offer guaranteed payments, tax-free advantages and the ability to meet immediate and long-term financial goals. Learn more HERE. LexisNexis Legal & Professional is a leading global provider of information and analytics that enable professionals in legal, corporate, government and non-profit organizations to improve decision-making and achieve better business outcomes. Learn more HERE.